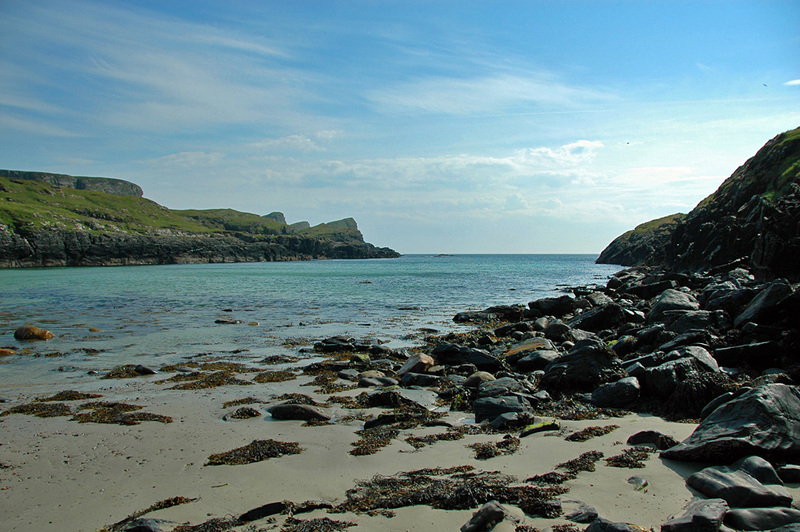 A beach scene in the north west of Islay, Tráigh Bhan at the end of a narrow inlet. Gleann Tuath behind us (not in picture), just left of centre the ‘Opera House Rocks’. Taken on a beautiful sunny June day. This entry was posted in Beaches, Landscape, Repost, Sunny Weather and tagged Islay, Opera House Rocks / Sleeping Giant, Traigh Bhan by Armin Grewe. Bookmark the permalink.